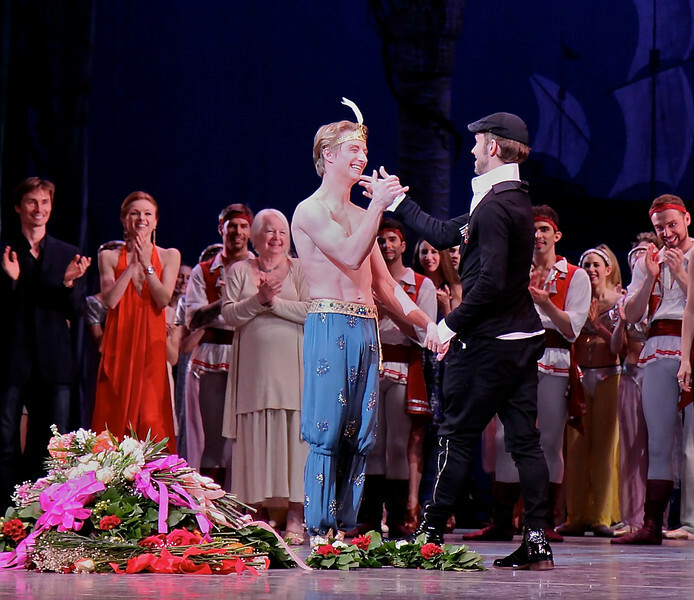 Ethan Stiefel and Johan Kobborg, Principal Dancer, The Royal Ballet. In November 2012, Royal Ballet of New Zealand (where Ethan is the Artistic Director) premiered a new production of Giselle co-choreographed and co-produced by the two. The new production will be the subject of a feature film that will be distributed worldwide according to Kobborg’s website. Kobborg's fiance is Royal Ballet Principal Dancer Alina Cojocaru, a frequent guest artist at ABT. At a young age, Kobborg trained as a tenor but left singing to take up dancing. He began his professional dance training at the late age of 16, attending the Royal Danish Ballet School according to Wikipedia.